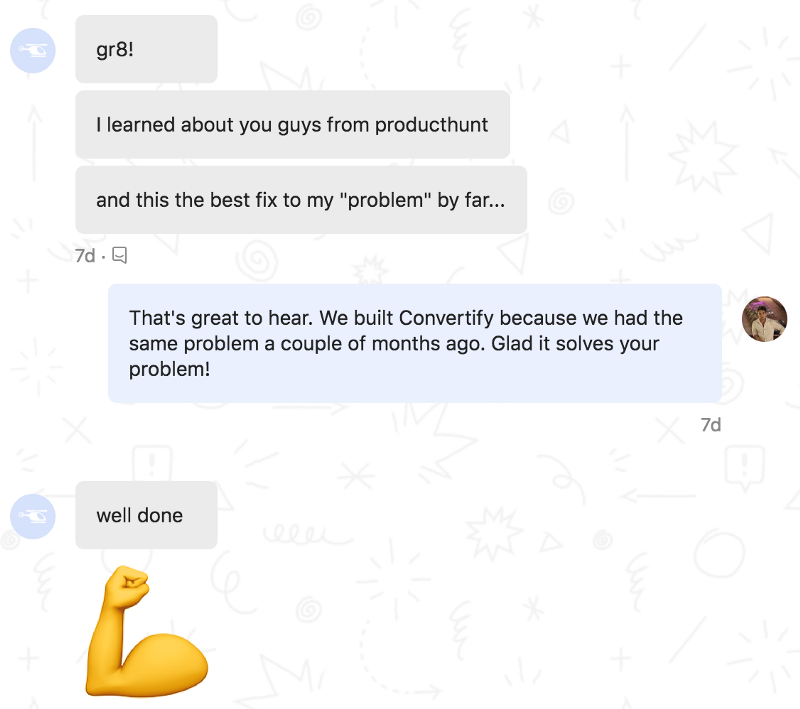 This is the story of how we launched Convertify on Product Hunt last week. Our goal is to share our results so you can know what to expect when you reach one of the top products of the day. While finishing up another side project, Insta Perfil, we realized how easily we could launch apps if we converted our website into native apps. We already had developed a website with a strong mobile UX so we got right into building the product. That is how Convertify was born. 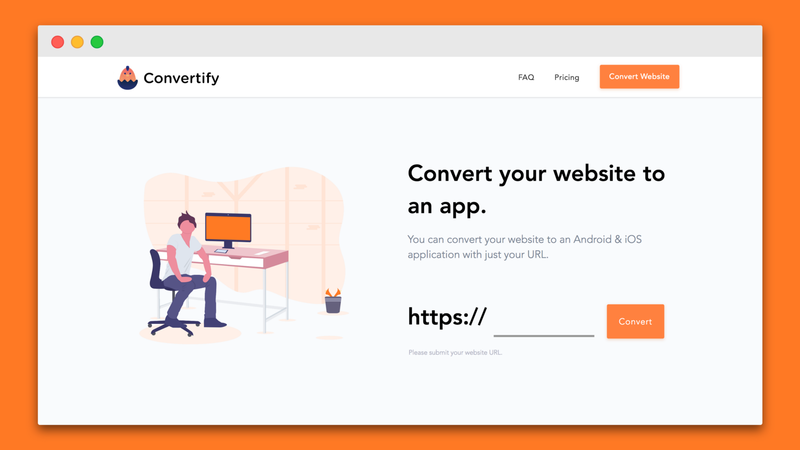 Convertify helps businesses create quick native apps using just a website URL. If you already have a responsive website, we wrap it and deliver your app in less than 24hrs so you can submit it to the Play Store and App Store. Our landing page was clean and simple with just one goal: to make visitors convert their website into an app. We had a big call to action above the fold, requesting an URL. You have spent countless hours working on your product, you missed many sleep hours waiting for this day, the launch day. We decided it should be a Tuesday. We are based on Argentina and since Product Hunt servers are based on PST time, we set the alarm so we can wake up and post our product. We were super excited but went back to sleep. The next morning we woke up and our product was on fire. We already had 108 upvotes, 15 comments and we had 9 requests to convert websites. The launch day is a roller coaster, our recommendation is to plan ahead and choose a day you can dedicate full-time to the launch. You will be replying to comments, emails and chat during the whole day. 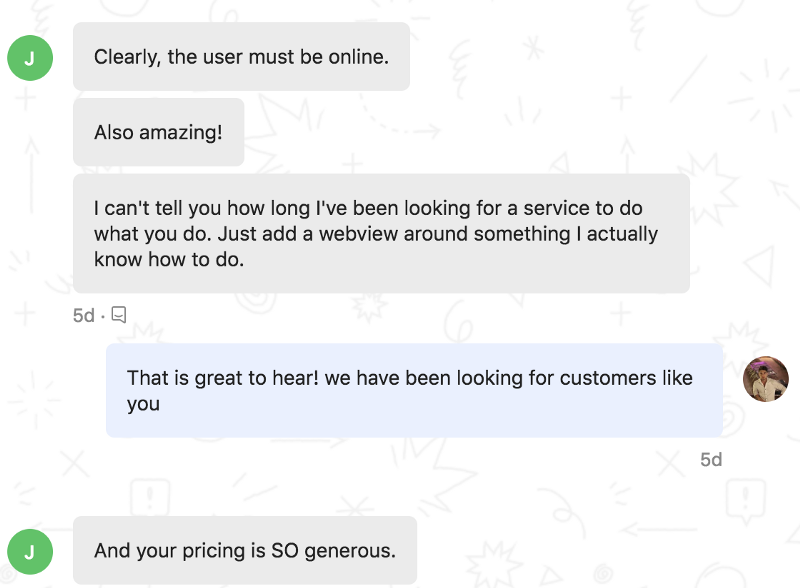 Every interaction counts, many of the sales we had were closed directly on our live chat software, Intercom. Up to this day we got 525 upvotes and 64 comments on Product Hunt, which positioned our product as #3 of the day (November 13, 2018). We had at least 14 people online at every given time of the day. 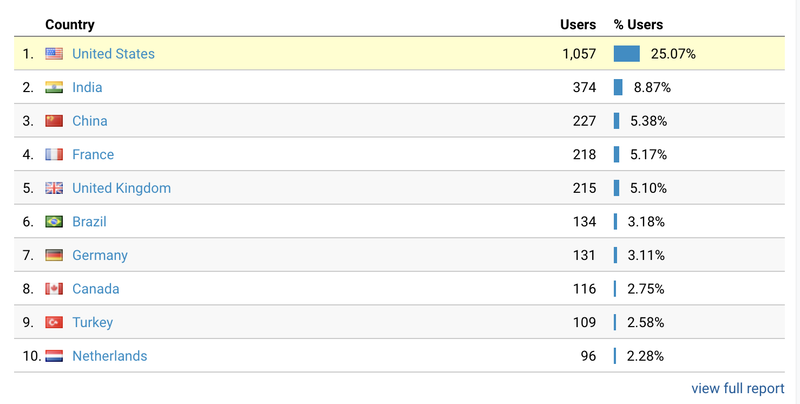 We received 1898 users during the launch day and 4206 throughout the whole week. Product Hunt audience is mostly from United States but you can expect customers from all around the world really. We had 78 chats on Intercom. Intercom has been an instrumental part of our launch. It is very important you can be live as much as you can because when people live your website they mostly never come back. Intercom has a great feature that allows visitors to leave their emails, but not everyone does so. These are examples of happy customers. It really motivated us to keep going and to improve Convertify. To sum up, we think Product Hunt is a great community to get your products on the hands of customers. Product Hunt audience is committed to test your products and will give you real feedback, while sometimes negative, it will really help you build your product. We hope you can learn something from our experience and we wish you good luck on your launches!